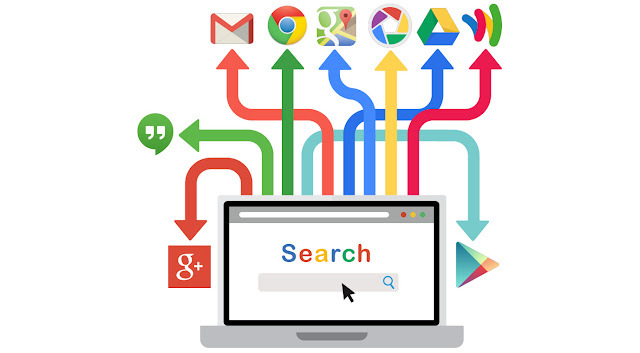 Best Ways of Using Google's Search Options! - Something New Everyday! Home technology Best Ways of Using Google's Search Options! Best Ways of Using Google's Search Options! Let's say you are looking for bread recipes but you don't want any with "yeast" as an ingredient. All you need to do is type your desired search terms normally and then add a minus sign (-) followed by the words you want excluded without a space. It should look like this in the search bar: bread recipes -yeast. This is a simple way for finding out other ways for saying something if you want to use the same word twice in one sentence, and you don’t want it to sound weird. In the Google search bar put a tilde mark (~, normally located next to the 1 key on the top left of the keyboard) in front of the search term you want to find synonyms for. Type "define:" (with both " marks) followed by the word, and Google will take you straight to the definition. Use this to catch anyone trying to cheat on Scrabble and get fast definitions for words you don’t know. If you are looking for the origin of a quote or a song you can only remember one line from, this is the just what you need to find what you are looking for. Simply put your search phrase inside quotation marks and search. If you are looking for something to buy but you don't want Google to show you all the price options, simply use this handy little trick. First type in your term, let's say phone, and after that type the lowest and highest prices you're willing to pay with two periods (..). The end result should look like this: Phone 100$..200$. The more accurate the item you are looking for will be, the better results you will get. If you once read a good article on a site and you can't remember its name and how you got there, it's very easy to find it again. 7. Search for a GIFA GIF is a type on animated picture file looping over and over like a very short (mostly poor quality) video. Finding GIFs is as easy as using the Google images search. Go to Google Images, type what you are looking for, click "Search tools" and "Type". A small drop down list will appear, select "Animated" and search. The results you'll get might look like normal pictures at first, but press on any of them and you will see their animation. Not really a search option, but still a very useful feature if you want to remind yourself to take a break or to take something out of the oven. Type "set timer for" into the search bar and you will see the Google timer as your first result. Enter the time you want in hours, minutes or seconds, and start the timer. Google will start beeping when the time runs out. This one is really straight forward, type in an equation in the search bar and Google will give you the answer on its calculator. If possible, you can copy-paste the equation to the search bar to make your life easier. If you are looking for a Word file, a PowerPoint presentation or something similar this will make your search faster and much more accurate. Enter your search terms followed by "filetype: PPT". PPT is the file type for PowerPoint, DOC is for most Word files and if you are looking for other kinds of files, just Google their file type initials. Much like doing math for you, Google can also tell the value of different currencies and help you prepare for that trip abroad. Type the name of the currency you own, add "to" and type the name of the currency you want to get in return. Keep in mind that many places trading with foreign coin take a commission and Google can't calculate that. If a part of your search is unknown or forgotten, you can use Google to fill in the blanks. Enter your search terms using asterisks (*) as stand-ins for the unknowns. It can also be used to answer simple question such as searching for: When you are in Rome be sure to visit *.